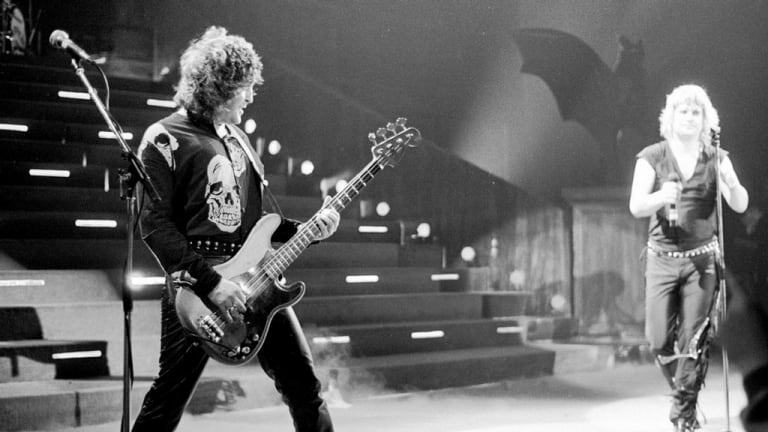 In the rock bass world, Bob Daisley really needs no introduction. 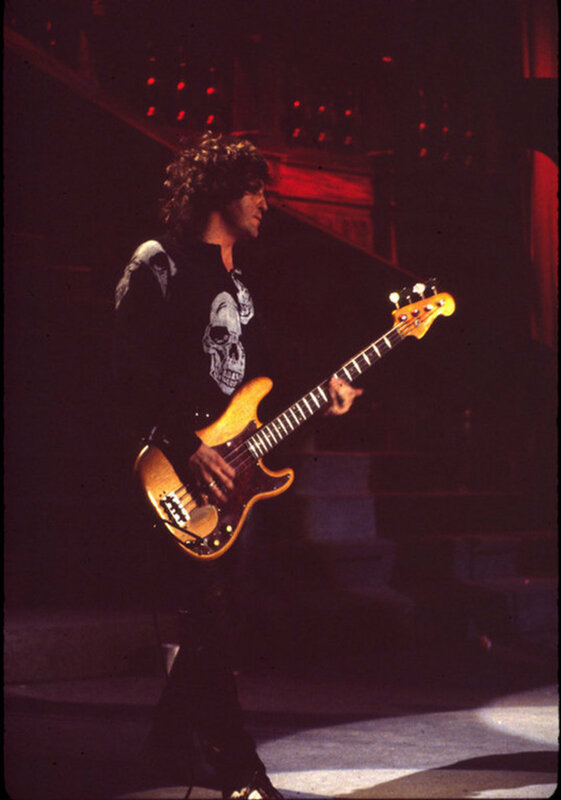 His playing on Ozzy Osbourne’s first two post-Black Sabbath records, Blizzard of Ozz [Jet, 1980] and Diary of a Madman[Jet, 1981], is essential listening for any would-be rock bassist. Daisley’s otherworldly rhythmic and melodic sensibility adds a nuanced, Paul McCartney-like touch to his bass lines in now-classic songs like “Crazy Train, “I Don’t Know,” “Flying High Again,” “Believer,” and “Tonight,” firmly cementing his place among rock’s most influential players. 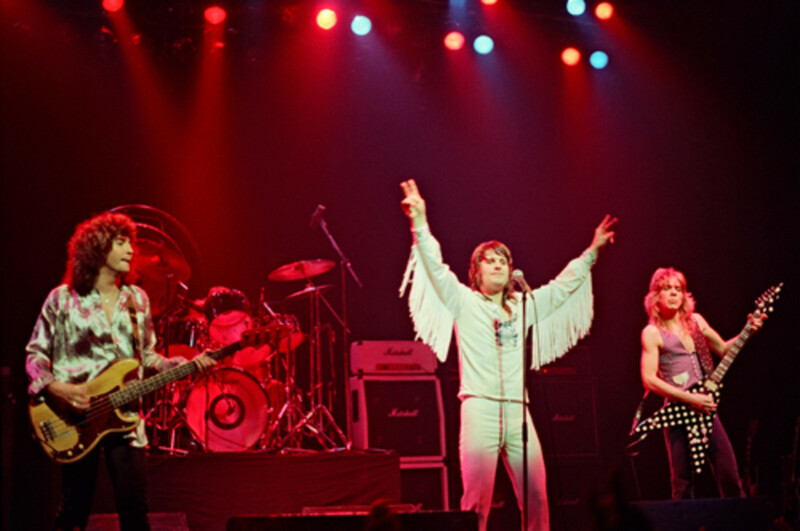 Ozzy’s band and songwriting team (which included guitarist Randy Rhoads and drummer Lee Kerslake, along with Daisley, who was also the group’s primary lyricist) helped rescue Ozzy from exile and catapulted the singer’s solo career into the stratosphere. Prior to working with Ozzy, Daisley had been a member of the last incarnation of the Ronnie James Dio-fronted Rainbow, originators of what is today known as neo-classical hard rock and heavy metal. The 69-year-old Australian bassist did not, however, launch his professional career by playing with the icons of heavy metal. Actually, Daisley first gained international recognition as a member of the English blues band Chicken Shack in 1972 and then went on to play with Mungo Jerry, appearing on their 1973 U.K. hit single, “Alright, Alright, Alright” [Dawn Records]. It was during this period that a life-long affinity for the blues emerged, and, after decades of playing with rock royalty — which also included stints in Black Sabbath and Uriah Heep — he returned to those roots via numerous collaborations with Gary Moore, culminating in the release of Moore’s 2004 masterstroke, Power of the Blues[Sanctuary]. 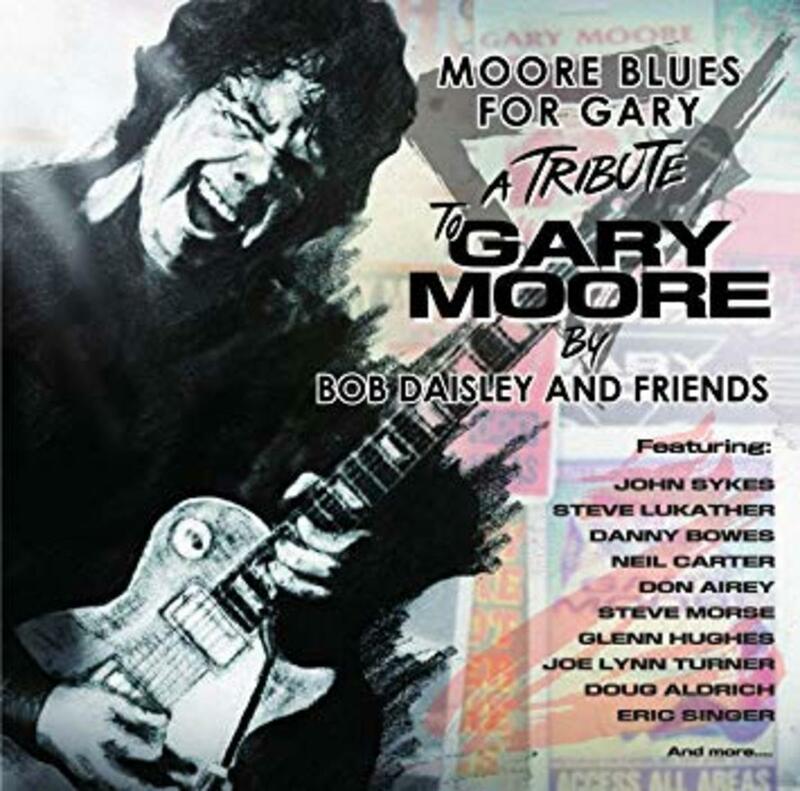 In late 2018, Bob Daisley & Friends released Moore Blues For Gary – A Tribute to Gary Moorein homage to the iconic Irish guitarist, who died in 2011. 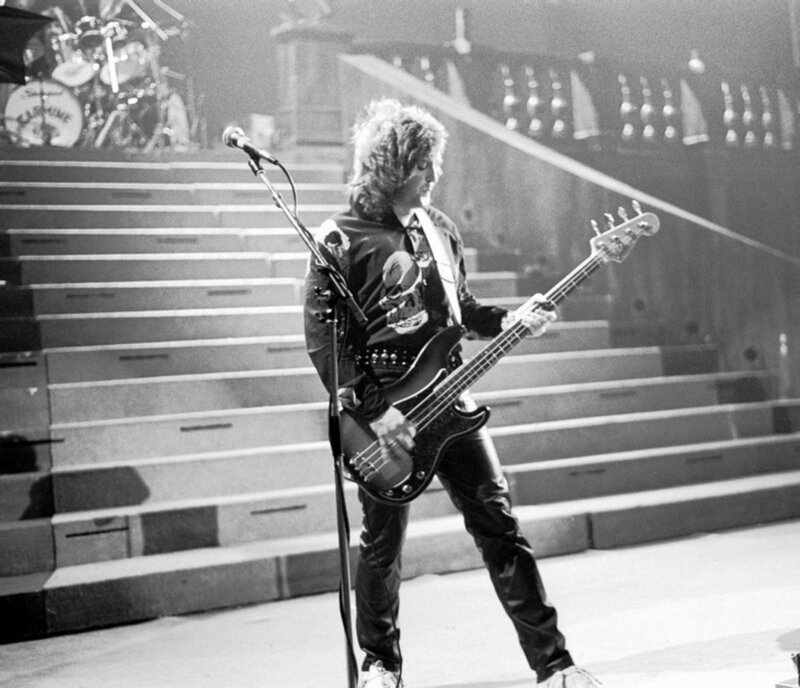 We caught up with Daisley at his home in Australia to talk about how he managed to put together such a cohesive-sounding tribute with musicians from all over the globe, including vocalist Glenn Hughes (Deep Purple), drummer Eric Singer (Kiss), guitarist John Sykes (Whitesnake) and many others, as well as what’s behind his fiercest bass tone yet. 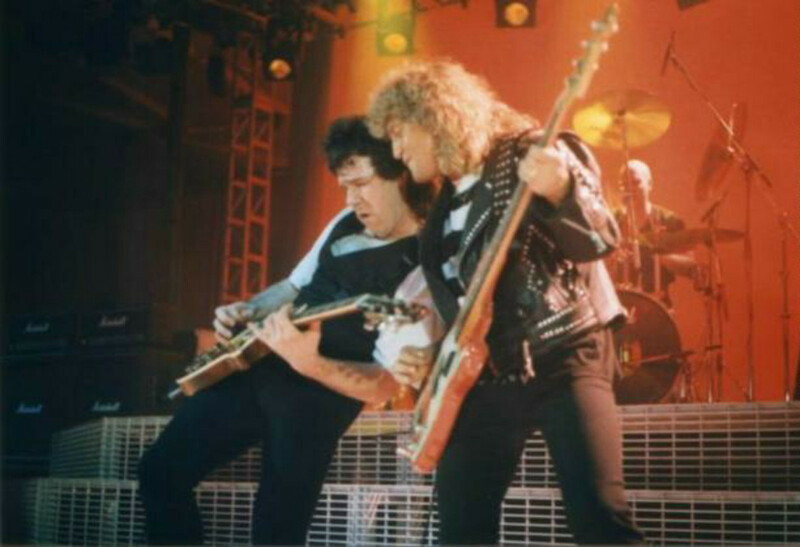 What was the catalyst for recording a Gary Moore tribute? I began writing my autobiography, For Facts Sake, in February 2009, and I thought Gary would get to read it — there is so much about him in there. It really hit me when he unexpectedly passed away in 2011, and although there were tributes to Gary, I thought that not enough had been said about one of the greatest guitar players to ever live. By 2013, I began to consider doing a tribute to him. After I’d asked around regarding who would be interested in performing on such an album, I knew that I had to do it. The response was compelling. Were there any logistic hurdles to conquer, like getting permission from his estate, to make this happen? Besides including much of the Gary Moore musical family tree, I asked Gary’s two sons, Gus and Jack, if they’d like to pay tribute to their father — both immediately agreed, so that was the stamp of approval from the Moore family. They are both on “This One’s For You.” Gus sings, and Jack plays guitar. How did you go about tracking a record with so many guest musicians living abroad? I had already chosen the songs and had worked on new arrangements before any recording was done. The first few basic tracks were recorded at Rob Grosser’s studio with me and Tim Gaze. [Grosser and Gaze are the drummer and guitarist of the Hoochie Coochie Men/Jon Lord.] Some of the tracks were sent via audio file to various performers with just drums and bass, or in some cases, drums, bass, and keyboards. It was a long and time-consuming process, especially with the editing, which took Rob and me more than three years to complete. What were you editing? Multiple takes? I asked all the performers to send at least two takes so that we had a choice of parts to use. Eric Singer [Kiss drummer and former Gary Moore bandmate] and Doug Aldrich [Dead Daisies guitarist] sent their recording of “The Loner,” and then I added bass — those tracks were then sent to Don Airey [Deep Purple] to add keyboards. These are examples of how it was all done. Your bass tone has never been better. What did you use to record? DI only? Miked amp? Combination? All of the above. For a lot of the tracks I used my 1962 Fiesta Red Fender Precision, the one that I used with Gary. I also used my 1958 Fender Precision with the gold anodized scratch guard that belonged to John Entwistle. Amps included a Markbass head with 2x10 cab, a mid-60s Selmer Treble ’n’ Bass 50-watt valve head, and a 1969 50-watt Marshall valve guitar head. More than half of the tracks were recorded just DI, with a few plug-ins for dirt. Much of the tone comes from the instrument and the fingers playing it though [laughs]. The bass solo on “Empty Rooms” is a classic, but didn’t Mo Foster cut the original, even though you are often identified with it? Yes, Mo played on the original studio version of “Rooms” before I joined Gary, but I seem to be associated with that song because we always did it live, and it was on the numerous live recordings, and videos, that we did. I knew that “Rooms” had to be included, even though it wasn’t a blues song, strictly speaking. I did the new arrangement with a sort of Cajun/swamp vibe, and it seems to fit in, continuity-wise. I asked Neil Carter to sing and play keyboards on that one because he co-wrote the song with Gary, and Neil’s voice is similar to Gary’s. I didn’t play a fretless this time, though; it’s my 1962 Fiesta Red Fender Precision with a bit of flanger and chorus, and a touch of octave pedal with reverb, which seems to work. I dig the grit on your tone in songs like “Texas Strut” and “Don&apos;t Believe a Word.” What are you using to obtain that? It sounds like fretless. No, neither is fretless. “Texas Strut” is the ’58 Entwistle Precision recorded DI with some crunch from the SansAmp PSA plug-in that comes with Pro Tools, and “Don’t Believe a Word” is my 1959 Danelectro Longhorn with similar settings. The fretless sound comes from how I slide the notes and bend the strings. Tell me about your relationship to fretless bass. You seem to utilize it at the most opportune moments; Ozzy’s “Mama, I’m Coming Home” comes to mind. What makes you think, Yeah, fretless would be good on this tune? Over the years I haveused a fretless bass on certain tracks. “Mama I’m Coming Home” is one amongst several, but on Moore Blues For Gary, I used a fretless bass on only one track: “Nothing’s Same Without You” with Glenn Hughes on vocals. I have a replica Ronnie Lane [Faces] big-bodied Zemaitis acoustic fretless bass made by Dave of England — that’s his trade name — and it sounds similar to an upright double bass, which was perfect for that song’s emotion. What&apos;s the key to becoming a good blues bass player? Try to make your bass lines interesting and melodic, but don’t get in the way of the vocal melody or the rest of the performers. Lock in with the drummer and enhance his beats with bass notes. For playing blues authentically, it’s good to play just behind the beat — never in front of, or even on, the beat. It’s the feel needed for blues. 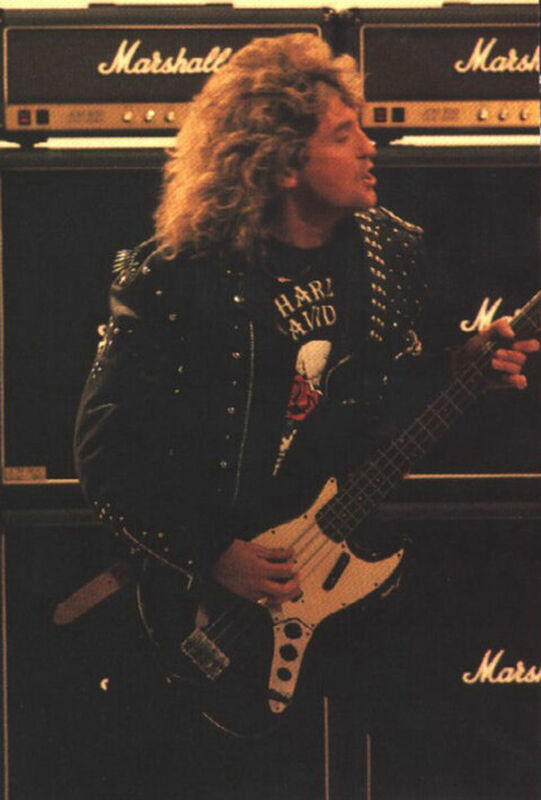 Visit Bob Daisley @ https://bobdaisley.com/where you can find tons of rare info, including his autobiography, For Facts Sake, and hard-to-find releases, like Chicken Shack – Live in Germany 1975.